The CBC recently formed its own Commission where top African American economists from around the country will come together to focus on the recession – particularly on communities of color. The Commission will also examine deficit reduction and their implications for vulnerable populations and the nation at large. Chairman Emanuel Cleaver, Congresswoman Maxine Waters, and Congressman Bobby Scott will convene three panel discuss...ions covering numerous topics including but not limited to: utilizing the fiscal year 2012 Budget to understand the national debt and eliminating economic disparities as well as identifying mandatory federal programs that enhance the lives of people of color, and other underserved communities. A glaring omission from various debt reports is a thoughtful analysis of how their recommendations will affect the nation’s most economically vulnerable populations. 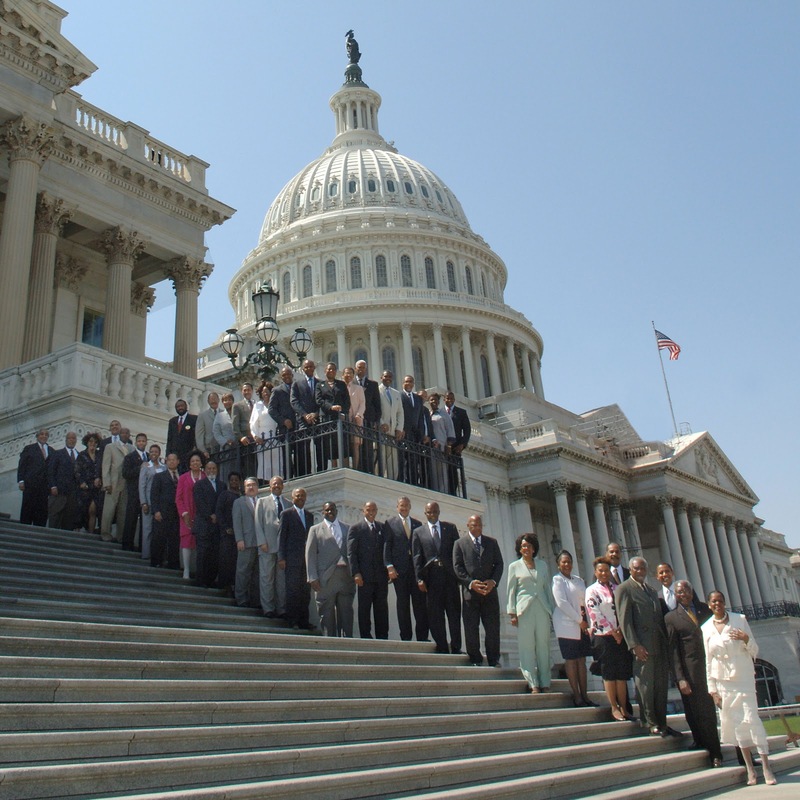 The Congressional Black Caucus will not allow that to happen again. Following the panel, the Congressional Black Caucus will create recommendations and a Commission Report and submit these recommendations to Congress and the Administration. More details are included below. · How does the increasing federal deficit affect our economy? What programs are most at risk to federal budget cuts? Which federal programs have the greatest impact on vulnerable communities? What value do these programs have for the nation at large, and what would be the consequences of drastic cuts to them? Specifically, how would proposed cuts to social security, Medicare and Medicaid affect our communities? Which programs should be protected from any budget cuts, and are there some that should be expanded, even in the current fiscal climate? · In light of lagging economic development, continued decline in the housing market and pervasive unemployment, how can the United States increase economic growth and competitiveness, and ultimately generate jobs and employment? What about any infrastructure investment (through the Highway Bill, Federal Aviation Authorization or the Water Resources Development Act)? Furthermore, in spite of fiscal restraint, what support can the government provide to enhance the Minority Business Development Agency's position as a driver of economic growth? · What recommendations can be offered to help the FY 2012 budget address continued economic hardships and the growing deficit without causing significant harm to households across the nation, especially the most vulnerable communities? • Cathy Hughes, Founder, Radio One, Inc. The National Black Chamber of Commerce (NBCC) held its 'Change of Chair Luncheon' at the Four Seasons Hotel in Washington, DC today. Outgoing Chair Sherrie Gilchrist welcomed incoming Chair Arnold Baker at the luncheon ceremony. Arnold Baker is President and CEO of Baker Ready Mix concrete company. Mr. Baker is also CoFounder of the New Orleans Regional Black Chamber of Commerce. NBCC President Harry Alford praised the outgoing chair and welcomed the incoming chair. NBCC Executive Vice President Kay Alford welcomed the new chairman. The luncheon allowed participants to introduce themselves and to briefly describe their work. The 2011 NBCC Committees and Chairs were also announced at the luncheon. They include. Bill Kovacs, energy coordinator for the U.S. Chamber of Commerce, also attended the luncheon. 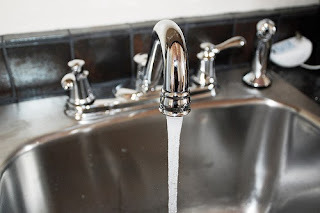 Memphis, TN: Reverend William Owens, President of the Coalition of African American Pastors, is joining a growing chorus of leaders calling for federal and state hearings and investigations into new revelations about risks from drinking fluoridated water. 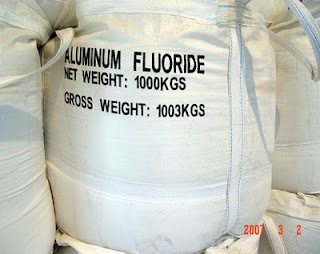 In 2006 the National Research Council published a report that listed diabetics, kidney patients, babies and children, seniors, and outdoor workers as "susceptible subpopulations" that are especially vulnerable to harm from fluorides. Owens is an outspoken advocate for assisting children in their education and is concerned about reports of IQ impacts from children ingesting fluorides. A recent study published in Environmental Health Perspectives, a publication of the National Institute for Environmental Health Sciences, documented diminished IQ in children from fluorides in water. In 2009 a study in the Journal of Public Health Dentistry noted that black children ingest significantly more fluorides than white children. CDC's Morbidity and Mortality Weekly Report published data in 2005 showing that blacks have significantly more of the worst forms of dental fluorosis than whites. Owens wants to know why African Americans leaders weren't openly given this and other important information. The U.S. Department of Health and Human Services proposed somewhat reducing the level of fluoride in water in a statement on January 7, 2011. 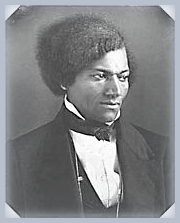 February is Black History Month, and although black history is important year round, this month is an especially good time to study the subject. Whether you're interested in Civil Rights, slavery, African American contributions, or biographies of famous African Americans, you can find so much online. Fazlun Khalid, Founder of the Islamic Foundation for Ecology and Environmental Sciences [IFEES] has been invited by the organizers of the World Economic Forum Annual Meeting (January 26-30, 2011), in Davos-Klosters, Switzerland to chair a workshop on "The Faith Factor: Religion's Role in Addressing Global Trends and Challenges". He will also be joined by Ex-USA President Bill Clinton. Islamic Foundation for Ecology and Environmental Sciences (IFEES) is an Islamic Environmental NGO, based in Birmingham with projects all over world, working for betterment of all, in our only home, planet Earth. Herman Cain is a conservative Republican candidate running to be president of the United States. AAEA will be covering the environmental and energy positions of all of the presidential candidates. AAEA stands ready to provide information on energy and environmental issues whenever Mr. Cain contacts us. He has established a Presidential Exploratory Committee. On energy, he advocates maximizing use of America's natural resources and pursuing renewable fuel technologies. "We have a path to energy independence in this country and it just baffles me as to why the leadership of either party in Congress or the White House doesn't pursue it," said Cain. "We simply need to remove the regulatory barriers and stop overreacting to the concerns of the environmentalists." "Energy independence: Real energy independence starts with removing a lot of the regulatory constraints that keeping us from exploring all of the natural resources that we have here. We have tons and tons and tons of resources that are just being choked off because of the “environmental wackos” quite frankly. They are not going to be happy until they totally strangle this country and there isn’t one gasoline company or oil company left in America. They’ve already driven away most of them. Their headquarters somewhere else." 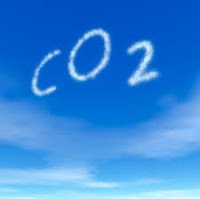 It is outrageous that the head of the United Nations, the head of the Intergovernmental Panel on Climate Change, the head of the Environmental Protection Agency and the Obama Administration are all dismissing these revelations [the manufactured “Climategate” scandal] as they push onward with their political agenda in the face of scientifically manufactured results. This is no longer a controversy. This is conclusive. And once again, liberals choose to ignore the facts. 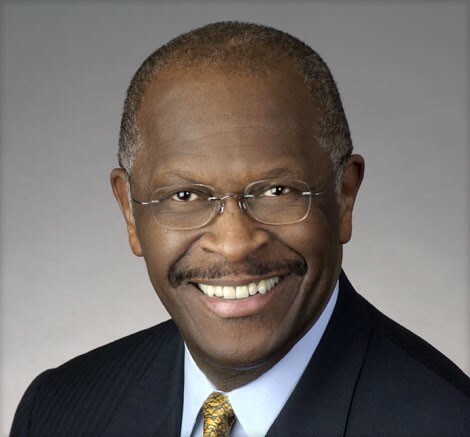 Herman Cain was born on December 13, 1945 and is an American newspaper columnist, businessman, politician, and radio talk-show host from Georgia. He is best known as the former chairman and CEO of Godfather's Pizza. Cain's newspaper column is distributed by North Star Writers Group. He currently lives in the Atlanta suburbs. Chicago South Side environmental activist Hazel M. Johnson, 75, died of complications from congestive heart failure Wednesday, Jan. 12, 2011. 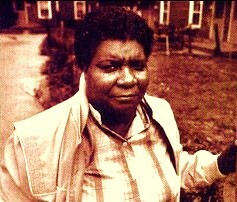 Mrs. Johnson a longtime resident of Chicago's Altgeld Gardens public housing development, was spurred into environmental activism after her husband, John, died of lung cancer in 1969. She fought corporate polluters and rallied residents to protest contamination. She founded a group called People for Community Recovery and put pressure on the Chicago Housing Authority to remove asbestos from Altgeld Gardens. Mrs. Johnson focused much of her organization's work on educating minority communities about urban environmental hazards. She became known as the mother of the environmental justice movement. Mrs. Johnson was instrumental in convincing city health officials to test drinking water at Maryland Manor, a Far South Side neighborhood dependent on well water. After tests conducted in 1984 revealed cyanide and toxins in the water, officials installed water and sewer lines. Her work in Chicago led to the national stage, where she joined a group of activists in urging President Bill Clinton to sign the Environmental Justice order. Ms. Johnson served on the U.S. EPA's first National Environmental Justice Advisory Council (NEJAC), established on September 30, 1993. Altgeld Gardens:Life in a Toxic Enviroment from Jennifer T. Lacey on Vimeo. Mrs. Johnson was the eldest of four children born in the area of New Orleans now known as "cancer alley." Johnson would spend most of her adult life in the Calumet Region, the industrial area along Lake Michigan's southern tip that is one of the nation's most polluted areas. Mrs. Johnson was preceded in death by her son Michael. In addition to her daughter, Cheryl Johnson, Mrs. Johnson is survived by two other daughters, Yolanda Johnson and Valerie Johnson; sons John Jr., Johnny and Mark; 10 grandchildren; and five great grandchildren. Former WAAA radio station owner Mutter Evans initiated Martin Luther King, Jr. commemorations five years before the federal holiday was passed. The 26th edition of the federal holiday honoring him included the 31st Annual Noon-Hour Commemoration in Winston-Salem, North Carolina. 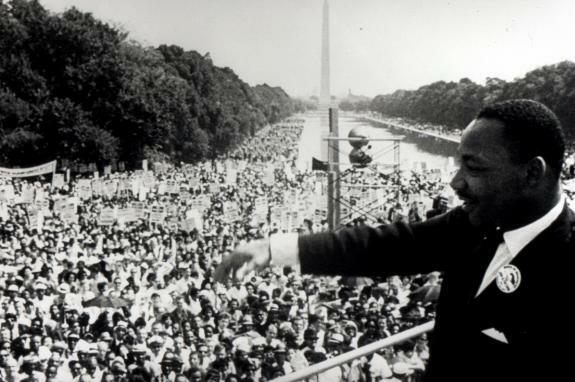 It is one of the oldest Dr. Martin Luther King, Jr. memorial events in the United States. "Take the time to acknowledge the person who had been so instrumental, and the freedoms and the liberties which we have acquired," said Mutter Evans, who organized the event in 1979. It makes me feel good from the standpoint that people continue to acknowledge and appreciate the history. It just seems like there is more division. Not everybody voted for him [Barack Obama], but those strives we thought we'd overcome, continue to rear their heads"
The event was originally held on King's birthday, but is now held at the Benton Convention Center on the federal holiday, which began in 1986. Winston-Salem native Clifton Graves spoke at this year's event. Graves, known nationally for his work in civil rights and education, spoke about everyone's power to help themselves and others. 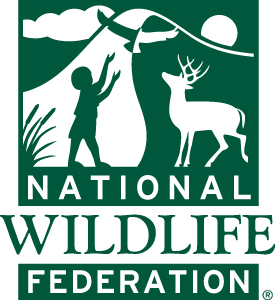 The National Wildlife Federation’s Fair Climate National Summit will bring together community leaders representing underserved communities from across the country to learn about the major priorities and challenges the nation faces in advancing clean air and clean energy to benefit all communities. Over a two-day gathering, leaders will learn about the known attacks that Congress plans to launch to roll back the Clean Air Act and EPA’s authority to regulate pollution, and how we can bridge movements and strengthen our advocacy skills to effectively advance a shared agenda. The Summit will also provide a unique forum for leaders to meet, connect, and learn from each other as well as learn important skills such as lobbying, media outreach, capacity building, and social media in our round-robin workshops. Additional time is set aside on Day 2 for leaders to take their community concerns directly to lawmakers. Register for the first annual Fair Climate Network National Summit to discuss and strategize on how our movement can most effectively protect the Clean Air Act. Official Summit activities begin at 8:30AM on Monday, January 31st and end on Tuesday at 10:00AM, at which point attendees will depart for visits to their Congressmen. Food and lodging will be provided for all attendees. If you have any questions, please contact Katharine Pelzer or call at 202-797-6622. 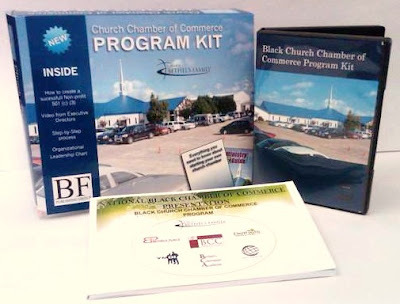 The National Black Chamber of Commerce (NBCC) has rolled out its official Church Chamber of Commerce Program. Any church, regardless of size, is eligible to participate. Bethel has produced an excellent program kit and those wishing to organize a chamber within their church are encouraged to order the kit and begin the process immediately. Simply contact Charles DeBow or call 202-466-4788. Get your kit and start increasing the amount of business done by your congregation. An economically viable congregation is a more effective congregation. A picture of the kit is below. The Center, through its outreach arm (African American Environmentalist Association), participated in a National Press Club press conference with the Nuclear Energy Institute on February 19, 2002. It was the first time that any environmentalist or environmental group in America supported nuclear power. It was a very scary step for us, but we stand by our decision. Participants spoke to reporters about the Bush administration's decision to store spent nuclear fuel cells and radioactive waste material at federal facilities in Yucca Mountain. Following their remarks they answered questions from the reporters. 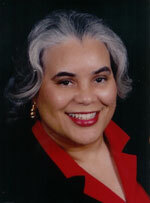 The National Congress of Black Women (NCBW) is chaired by Dr. E. Faye Williams, Esq. who succeeded Dr. C. DeLores Tucker and former Congresswoman Shirley Chisholm--the two convening leaders of the organization. Both women passed away in 2005. The National Congress of Black Women is a 501(c)(3) non-profit organization dedicated to the educational, political, economic and cultural development of African American Women and their families. NCBW also serves as a nonpartisan voice and instrument on issues pertaining to the appointment of African American Women at all levels of government, and to increase African American women's participation in the educational, political, economic and social arenas. Currently, NCBW provides opportunities for women for leadership and decision-making positions in government, nonprofit organizations and the private sector. Project Labor Agreements (PLA’s) are evil, anti-minority and full of corruption. The NBCC firmly believes this and President Obama does not. Thus, we have serious conflict. These union only jobs are usually void of minority business and few minorities are allowed to join construction unions. Only 2 percent of Black owned construction companies are union. A victory for our position recently occurred in where the General Accounting Office (GAO) agreed with our position and struck down a federally sponsored PLA. For more about this issue. What's Up? Deaths of Thousands of Black Birds in Arkansas? We are wondering about the black birds falling from the sky. Has some new death ray been created that kills dark colored creatures? Was some sort of wide-field laser used to down the flock? About 4,000 red-winged blackbirds fell from the sky dead on New Year's Eve near Beebe, Arkansas. The birds fell in an area about a mile long and a half-mile wide. An aerial survey indicated that no other dead birds were found outside of that area. It is being speculated that the flock could have been hit by lightning or high-altitude hail, or may have been startled by fireworks. Although some are saying that such bird deaths are not unusual, we have never heard of such an incident before. Anywhere. 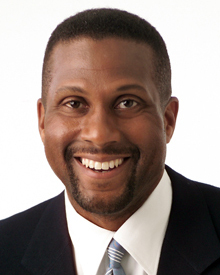 Tavis Smiley, left, is convening a panel to addresse with how America can return to its greatness. The nationally televised discussion, America's Next Chapter, will be held from 6 p.m. – 9 p.m. Thursday, January 13, 2011 at George Washington University's Lisner Auditorium, 730 21st St. NW, Washington, D.C. The event is sponsored by Nationwide Insurance and is free and open to the public. Advance registration is requested at . The event will broadcast LIVE on C-SPAN Thursday, January 13. The conversation will rebroadcast for three nights on Tavis Smiley on PBS beginning Tuesday, January 18 through Thursday, January 20. The conversation will continue during The Tavis Smiley Show and Smiley & West from PRI (Public Radio International).